Mechanical keyboards, tac tac key sound, remembers and gives you a feel and speed of the old typewriters but in modern technology. Keyboards are the most common hardware nowadays which are being used by everyone. The use of the keyboard is almost the same for everyone. While in the office doing the job, or back in home surfing internet, playing video games or booking a railway or airways ticket, or planning for a out of station holiday and the of course the usage of social networking, in all cases keyboards are used as in all these case computers are used. Every computer users need to type document, or commands or at least search parameters every day. Practically there is no other device which can possibly replace the keyboards in computers. Though the virtual keyboard is available with all the OS but the use of that is really very limited and we all know that. Normally, while buying a keyboard people look for a good brand only. If someone is on a tight budget then he may only look at the price tag while buying a keyboard. But remember that most of the working professionals spend a lot of time on their computer. While spending time on a computer with sort of work continuous tapping keys of the keyboard button is common. Many times, the sessions used to hours long, which may end up with fatigue, wrist paint or pain in the fingertips. Which actually arises a comfortability solution issue. Most of the office workers spend 6-7 hours daily typing any sort of documents. The professional programmers or the bloggers also do type a huge amount each day. While doing a school project or writing a personal diary on the computer one need to type a lot and for long hours on the computer. So, while buying keyboard buying good quality keyboards which will provide much more tactile feedback and will cause the minimum strain and fatigue in the user should be chosen. Now, one may think about that, are the mechanical keyboards really helpful or comfortable? The answer is, of course. While someone is buying a keyboard, he should keep in mind the purpose for which he uses the computer most. Though the occasional or general users who use computers for an hour at most, should not be bothered with purposes. But for serious and continuous users defining the purpose is important. 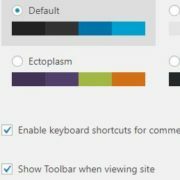 While a programmer or a blogger for typing with the comfortability; they also need s speed and a good feedback from the keyboard while typing. The mechanical keyboards are just the thing for those users. The keyboards which are normally available in the market for a cheap price is actually known as Membrane keyboard. The technique of membrane keyboard is just as any other remote control’s button keypads. They use a single membrane layer with rubber dome on it along with plastic made keycaps, when the keycaps touch any specific rubber dome, the key got registered. Using a single layer of membrane and using a single circuit for all the 104 keys on any keyboard makes it pretty easy in engineering but quite low in quality. These keyboards are normally last for a very short time. While typing continuously and tapping multiple keys at once, some keys may not be registered even after tapping the key perfectly. This problem is known as Key-Ghosting. It may lead to command error, or spelling mistakes very often. Which is annoying as well as the time killing. While in Mechanical keyboards the build quality is pretty solid. They weigh higher than any normal membrane keyboard, which actually helps the keyboard to stick at one place while typing. The keycaps are very high in-built quality, because of which it lasts very long, even for 5-6 years in the hand of rough users. The main difference between Mechanical and membrane keyboard is the construction of the key mechanism. In mechanical keyboards, in place of rubber dome, spring and livers are used with an extra supportive and removable mechanism under the key. Along with the help of these parts, a key registration in a mechanical keyboard is a lot easier and less time taking. The keys do not need to be pressed all along the end, and it produces a sound of a click just like a mouse button, which ensures the key registration. With the help of the spring, it also gives a very tactile feedback and felling which makes it really comfortable, even after typing for continuous 4-5 hours. What are the anti-ghosting issues? In simple words, the Ghosting is a problem in which when you press multiple keys simultaneously, the Keyboard is not going to work. In such case, the keys you press are not going to show on the computer or seems disappeared and that thing noted as Ghosting and the solution to this problem known as anti-ghosting. In mechanical keyboards there are different connection circuits are used for each of the different keys. Because of which no key has gone missing or ghosted even tapping multiple buttons continuously or tapping a single button continuously for several times. As different circuits are used for each of the keys in the keyboard, the mechanical keyboards become anti ghosted by default. While in high-quality gaming purpose membrane keyboards are adds extra circuits for some most used buttons in order to make it anti-ghosting enabled. With the help of anti-ghosting technology, the problem of missing key or spelling errors can be avoided to a very long extent. Rather than this, the key travel is a little deeper in the mechanical keyboard than the membrane ones and the distance between keys are also a little bit more than any membrane keyboard. Which ensures that you will not press any side buttons of your desired button while typing. 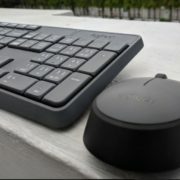 As the button impressions are much more farm in the mechanical keyboards and it gives a tactile feedback after tapping any key, it makes typing comfortable for the fingers which make one able to type for long continuous hours. The click sounds of the mechanical keys also help a lot while typing to be sure of the correct impression of the button. Which of course make the keyboard much noisier but more effective for the user as with practice he will understand the keyboard and its sound better, which will make him type faster and type correctly. Any accidental pressing of keys also does not occur in mechanical keyboards as the keys of mech-keyboard need much more pressing power to register a key, so just by touching some key accidentally will not register the key for sure. The benefits of typing may not be seen within first couple hours of using a mech-keyboard for the first time but using it for a week will change the mind and typing speed of any user. Normally any user types at least 10-15% faster in mechanical keyboards, thanks to its tactility. The ethical 10 finger typists may notice the difference much more and may become master in mech-keyboard within no time, while the single hand un-ethical typist may struggle with the keyboard while typing. While the Membrane Keyboards are affordable but for getting good typing speed you require more efforts because if you are a fast typist then the chances of hitting wrong keys are more in the Membrane keyboards as compared to the Mechanical keyboards. Though the Membrane keyboards are affordable, the lifespan of such keyboards is last for few years, if you are a regular typist because the pad starts mushy and losing its conductivity too. Also, the cleaning of the keys of mechanical keyboards is easy by just removing the keycap, however, it is harder in the case of membrane keyboard as the keycaps are usually not removable. What are the advantages of a mechanical keyboard for the gamers? The default anti-ghosting makes these keyboards every gamers cup of tea. In competitive gaming or in multiplayer modes where the stress levels are high and no space for a wrong or incorrect button tapping, these mechanical keyboards are perfect for those points. Most of the pro gamers do love mechanical keyboards and, in any e-sports event, the use of mechanical keyboards at a huge level can be found. In past 2-3 years, the entry-level gamers also have shown interest in mech-keyboards. Just like long typing sessions, the gaming sessions are also tended to be very long, in which the mechanical keyboards are extremely helpful, as the tactility and the feedback mechanism of the mech-buttons make it much more comfortable for the gamers also. Some gamers now a day also prefer the Hybrid mechanical keyboards, for their tactility and feedback like mech-keyboards but low noise level like membrane keyboards. What are Hybrid Mechanical keyboards? The Hybrid mechanical keyboards are comparatively new in the market. It can be said that Hybrid mechs are not everyone’s cup of tea. The Hybrid mechanical keyboard uses the keycap from mechanical keyboards and the spring and lever-like mechanical keyboard are also used but in place of different buttons and different circuits for all the 104 buttons, a single membrane layer is used like membrane keyboards. In place of the button, a high-quality rubber dome is used. It gives the keyboard a mechanical felling but reduces the click sound of the keyboards, which is actually annoying for many gamers. 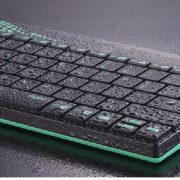 Though there are very few options available in the market for this type of keyboard, it is becoming popular day by day. In most of the costly keyboards, the RGB lighting style is added now a day. 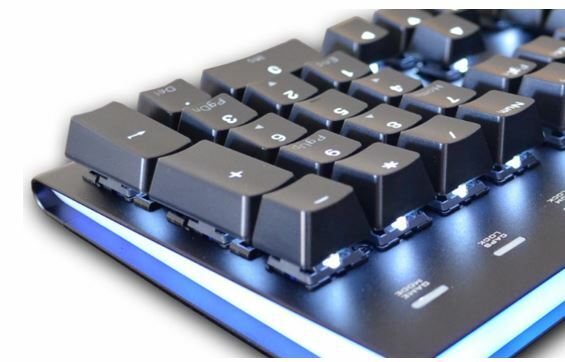 There are many membrane keyboards in the market those have RGB lighting also. 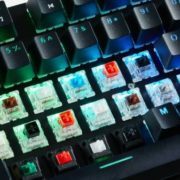 If one is thinking about using an RGB enabled keyboard only, he does not need to go for the mechanical keyboards as these are many stylish RGB lighting enabled membrane keyboards are available in the market, those are a lot cheaper than any mechanical keyboard. While going for an RGB enabled keyboard one should check the buttons properly as they are visible clearly without the light or not. As there are many keyboards in both segments in the market, which are actually useless without the RGB light. So, if somehow the light got broken then the keyboard cannot be used. Going for these types of model is not advised at all. Which mechanical keyboard one should go for? One should choose the keyboard by keeping all the aspects discussed above. The cost factor is necessary of course but, buying a cheap product for serious usage and causing harm to the finger-tips as well as the shoulder and backbone is not a good idea. For serious typist and gamers going for a mechanical keyboard is better. Gamers may also go for the hybrid ones. But someone is just looking for cool RGB lighting keyboards then he should go for the cheap RGB gaming keyboards. Now comes the cost factor, normally mechanical keyboard costs from $40 to $500, while good quality RGB enabled membrane keyboards to cost $5 to $50. The Hybrid keyboards do cost around $20 to $100. There are mainly three popular types of switches in the market, Cherry Mx Red, Cherry Mx Blue, Cherry Mx Brown. Cherry MX is the most popular types of keycaps which are normally used in any mechanical keyboard. While Red switches are best for use in typing, they do make the most noise among these three. Red switches are also the most tactile among these three. The Red switches are good for gaming and also make the lowest sound among these three. The brown switches are a little bit uncommon, it is actually the balance the Red and Blue, with clear but average sound and average tactility. The main con one may find in mechanical keyboard is the noise level of button tapping. A new user may get annoyed because of the continuous sound of the clicking while typing. One more con to look for, is the bad quality backlit keycaps, where without the RGB light, the keys letters are not visible. If found such style on any keyboard, that product should be avoided to get rid of future problems. One should go for a good brand only. Before buying doing research over the net, getting on hand impressions reading reviews are very good to know more about the product. There are many good brands like Corsair, Razor, Logitech, HyperX for premium-level mech-keyboards. For a mid-range product, one should go for the Cooler Master, Cosmic Byte, Redragon, Red Gear etc. One should also keep in mind the types of switches or keycaps of the mechanical keyboard, which actually depends on the purpose of the user. If someone is thinking about getting the first mechanical keyboard should definitely go for it, as mechanical keyboards really worth the price. Why are Gaming Headphones better than Normal Headphones?